STV Pest Control. The largest range of pest control products in the UK by STV that help to keep your home and garden free from pest and does exactly what it says on the packet.With over 20 years experience of pest control STV is a leader in innovation and technology of pest control. Humane and poison-free items are also included in the vast range of pest control at very affordable prices. STV is the UK's leading supplier of professional pest control products for home and garden use and is now listed in preference to other historical brands by many of Britain&s best-know retailers. Over the years, STV has built an outstanding reputation for delivery of innovative new product development. Its ranges are distinctly branded, each targeting different and specific pest problems. As such, STV is the only UK company that delivers a comprehensive, easy-to-shop pest control range along with a promise to consumers of Pest-Free Living. Eastern Aromatic Red Cedar has been trusted to freshen and protect clothes for centuries. 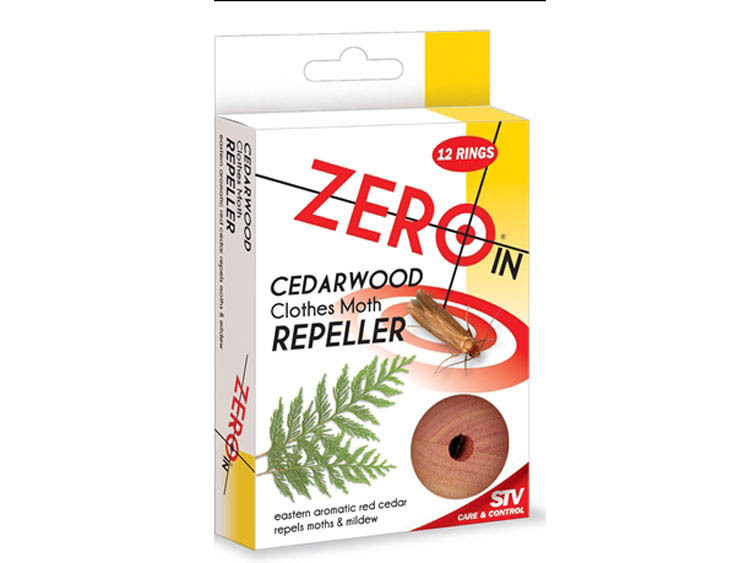 This product contains 100% natural red cedar wood. Its pleasant fragrance will penetrate garments and fabrics, repelling moths as well as mildews and mustiness from drawers, wardrobes and storage units.